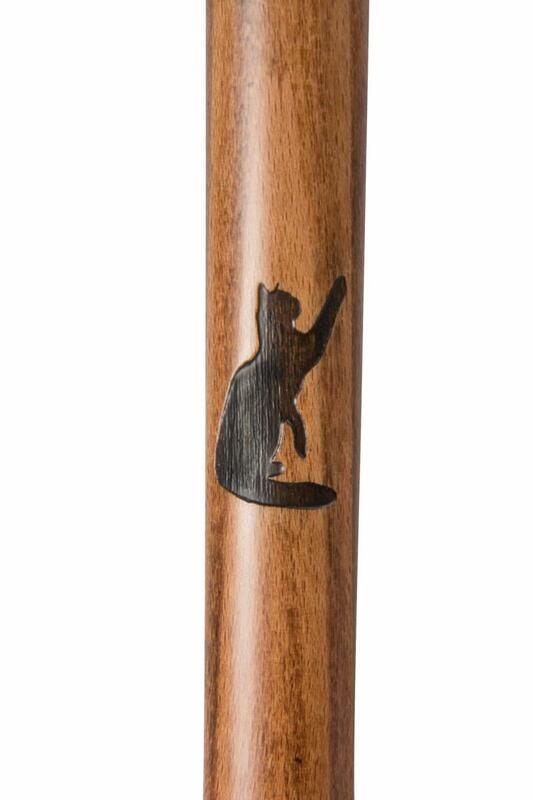 A smart everyday cane with an elegant laser-engraved cat motif. 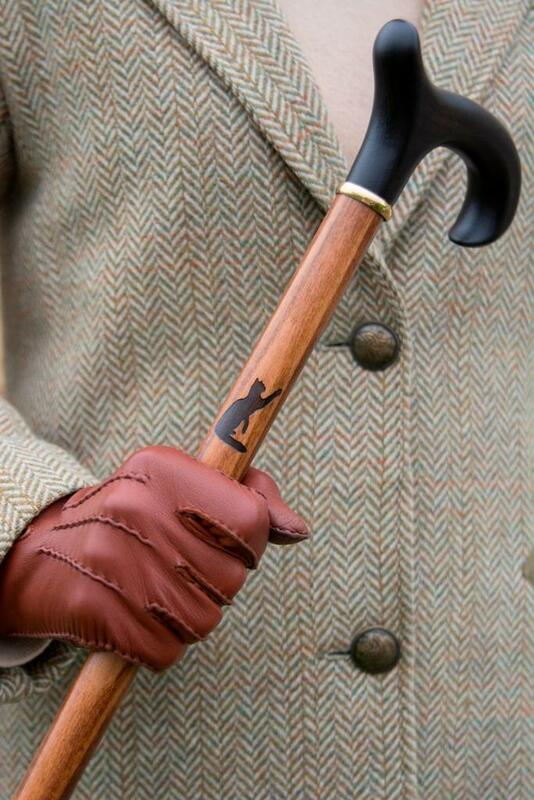 The shaft and handle are made from beech wood, with the handle stained very dark brown to match the cat. An ideal present for a cat-lover, this cane is 89cm tall and is fitted with a gilt collar and a non-slip black rubber ferrule. Ferrule diameter 19mm.